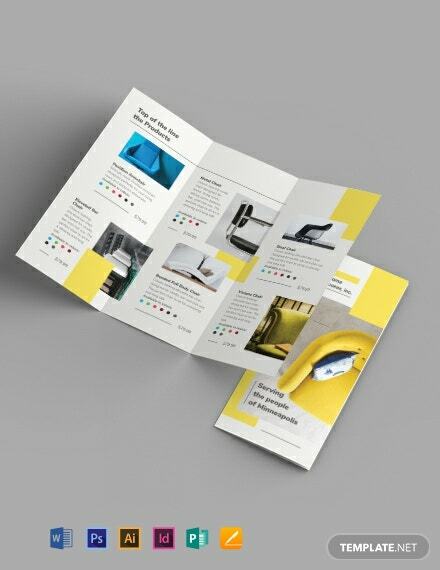 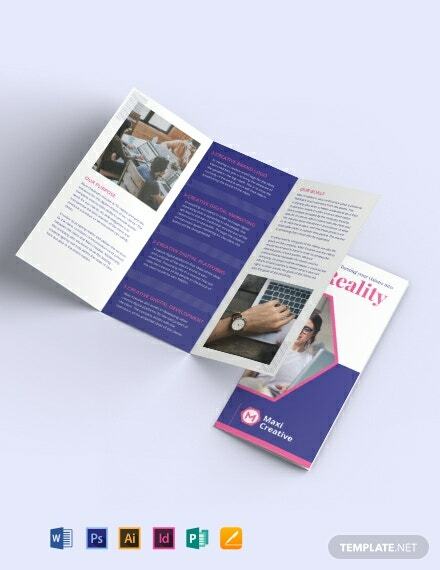 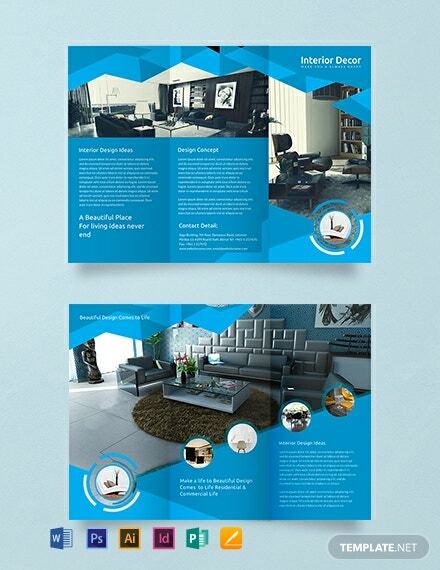 Download this blue, modern brochure template for your interior décor business. 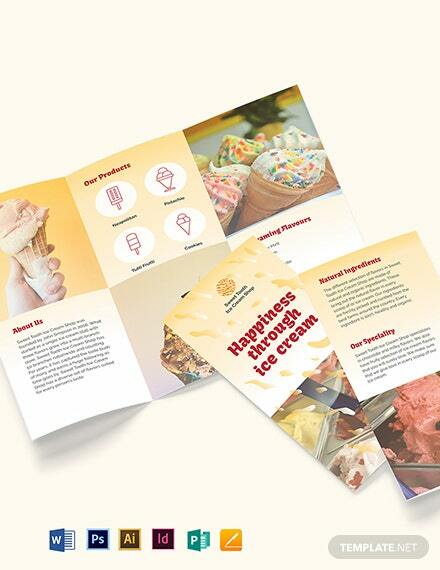 It is easy to edit and fully customizable in multiple software. 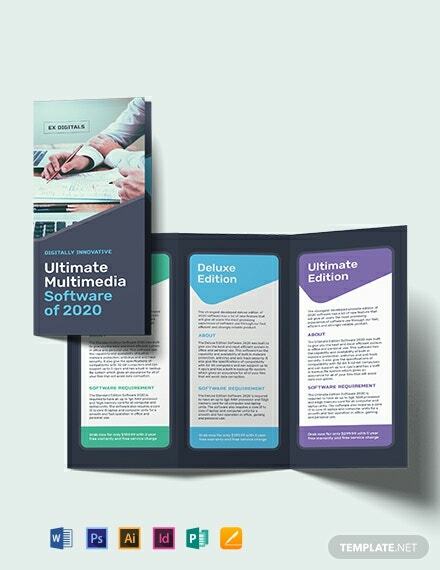 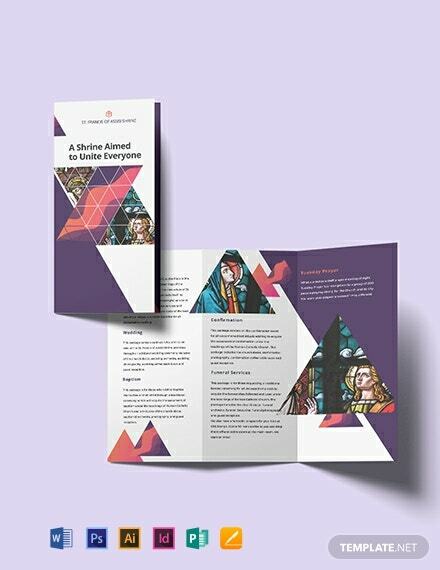 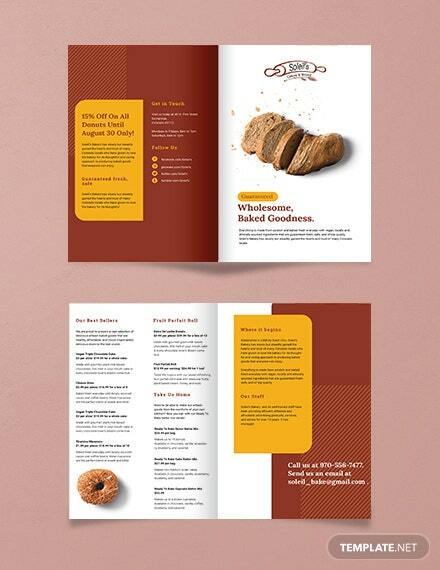 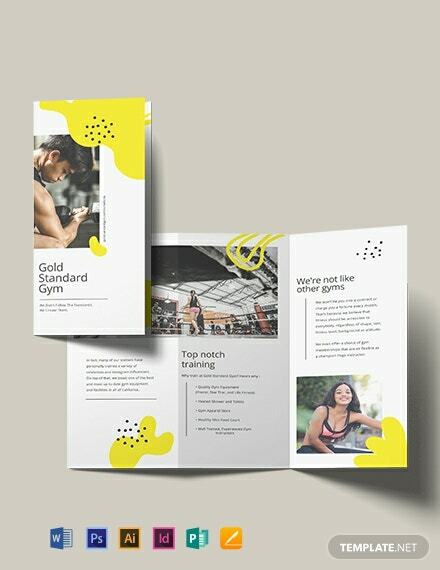 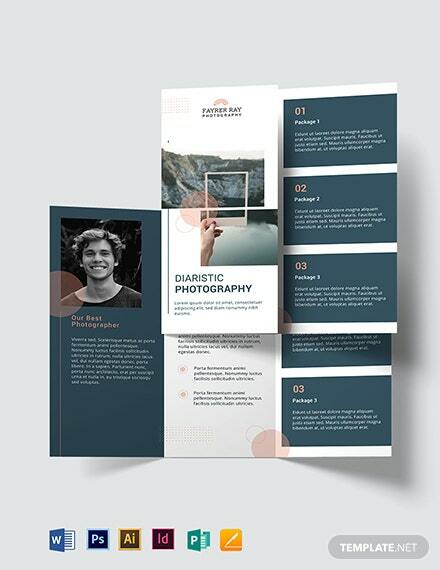 This template is fully layered and uses high-quality layout, photos, and +More graphic files.